As you can see the average ratio of attendance to staff is 86:1. In other words for every 86 people in attendance including adults and kids, there’s typically one full-time employee. This includes all paid staff at the church including administrative, support and ministry employees. It also includes both full-time and part-time staff. We calculate the full-time equivalent (FTE) number by adding the total average number of hours part-time staff work and then dividing by 40. That number is added to the number of full-time staff to get the FTEs. As an example, if there are 12 full-time employees and 10 part-time employees working a combined average of 240 hours per week, that is 18 FTEs. In addition to looking at the number of staff members compared to attendance, we also take a look at the percentage of the church’s staffing budget compared to the total budget. The average is 48%. I encourage churches to try to stay in the 45% to 55% range. Staffing impacts volunteerism. You might think the more staff a church has, the more people will be equipped and empowered to serve. The opposite is true. We’ve found that for every 5% more of the budget churches spend on staff, nearly 4% less attendees were serving as volunteers. Staffing impacts attendance. Again, you might assume the more staff a church has, the more people the church will be able to reach. We’re finding the exact opposite. Instead, for every 5% more of the budget that churches were spending on staff, attendance growth was nearly 5% less. In other words, when your gut tells you “We need to add more staff,” you need to think again. If you are overstaffed, it has the potential to drive down serving and attendance. This stands to reason. 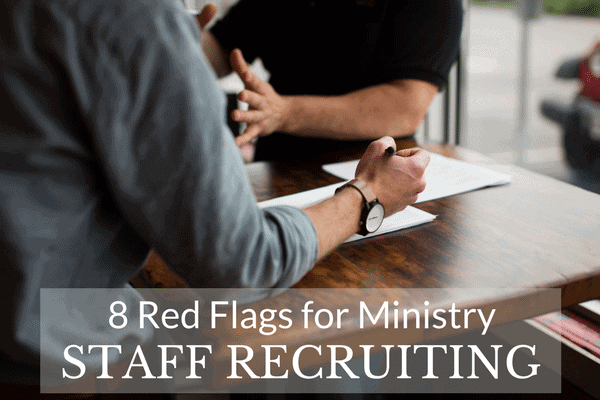 If staff is “doing” all the ministry, there’s no reason for people to serve. And if people don’t feel like they “own” a part of the ministry, they’re less likely to invite their friends. Based on past research, they’re also less likely to contribute financially. Need some help looking at your staffing numbers and your current structure? We’d love to serve you with a Staffing & Structure Review. Contact us if you want to learn more.